And now my complete absence over the last two makes makes a teeny bit more sense! Be back in a couple days with more details! Congrats!!!! They'll fit right in with your adorable family! Yippee!! Congrats!! 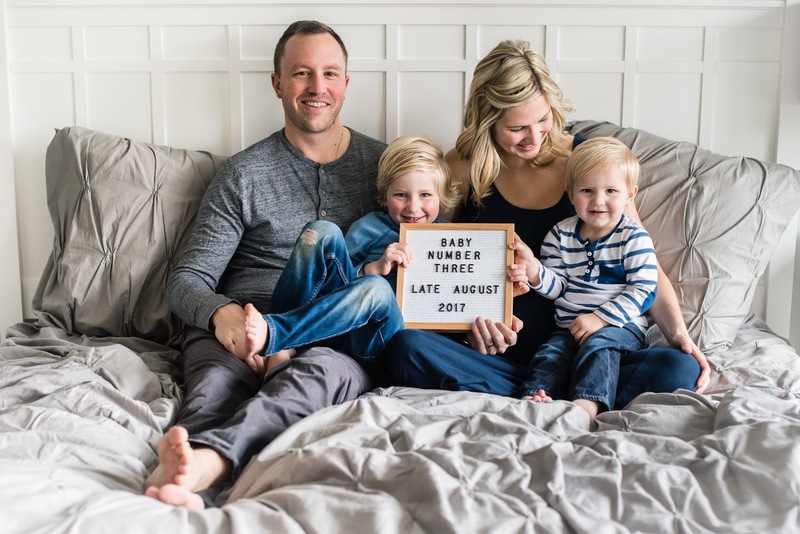 Such a sweet announcement! Omgggg! I'm still so excited! Give us all the info asap! SO EXCITED this joyous news is finally out!! Beyond thrilled for your growing family!! Congratulations! I was thrilled for you guys when I saw the news on IG! Congratulations!!!! So exciting. I bet the boys are excited as well! OMG! i am so mad at myself right now for being so behind on blog related everything. congrats girl! so happy for you all. Congratulations! So excited for your sweet family. Congratulations!! So happy for your family! I'm expecting due August 30th! It will be fun to follow along with you!